Explanation: What forms lurk in the mists of the Carina Nebula? The dark ominous figures are actually molecular clouds, knots of molecular gas and dust so thick they have become opaque. In comparison, however, these clouds are typically much less dense than Earth's atmosphere. 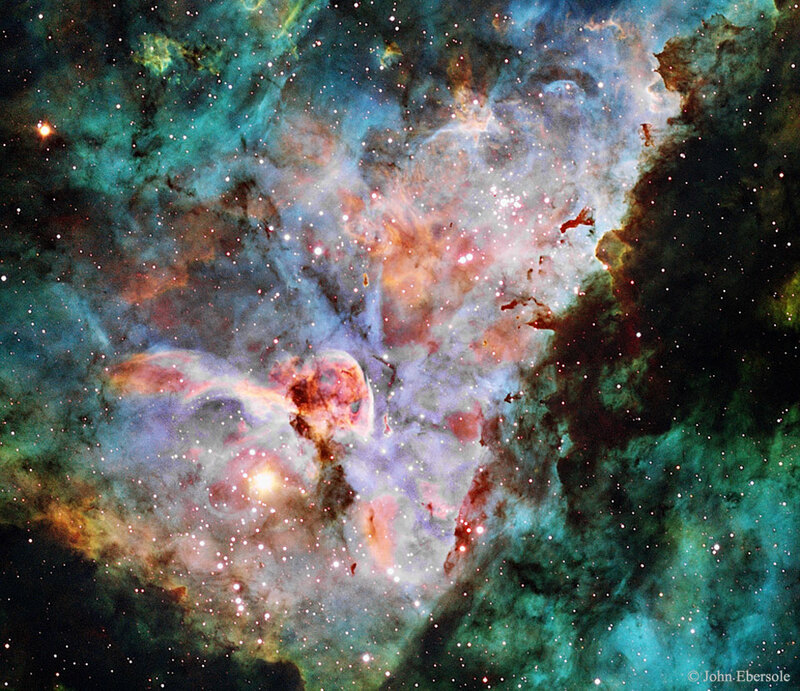 Featured here is a detailed image of the core of the Carina Nebula, a part where both dark and colourful clouds of gas and dust are particularly prominent. The image was captured last month from Siding Spring Observatory in Australia. Although the nebula is predominantly composed of hydrogen gas -- here coloured green, the image was assigned colours so that light emitted by trace amounts of sulfur and oxygen appear red and blue, respectively. 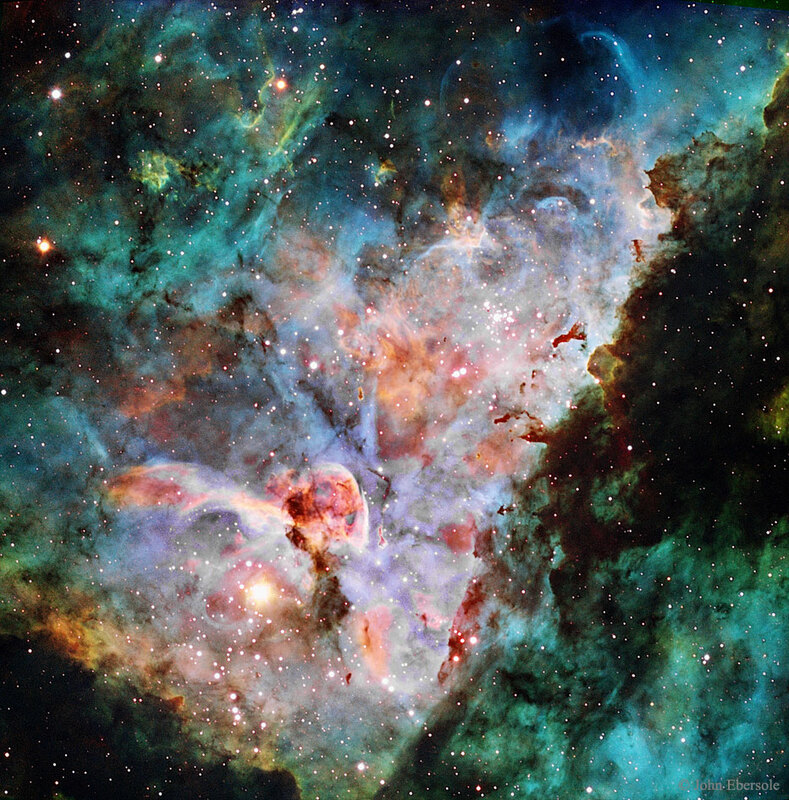 The entire Carina Nebula, catalogued as NGC 3372, spans over 300 light years and lies about 7,500 light-years away in the constellation of Carina. Eta Carinae, the most energetic star in the nebula, was one of the brightest stars in the sky in the 1830s, but then faded dramatically.